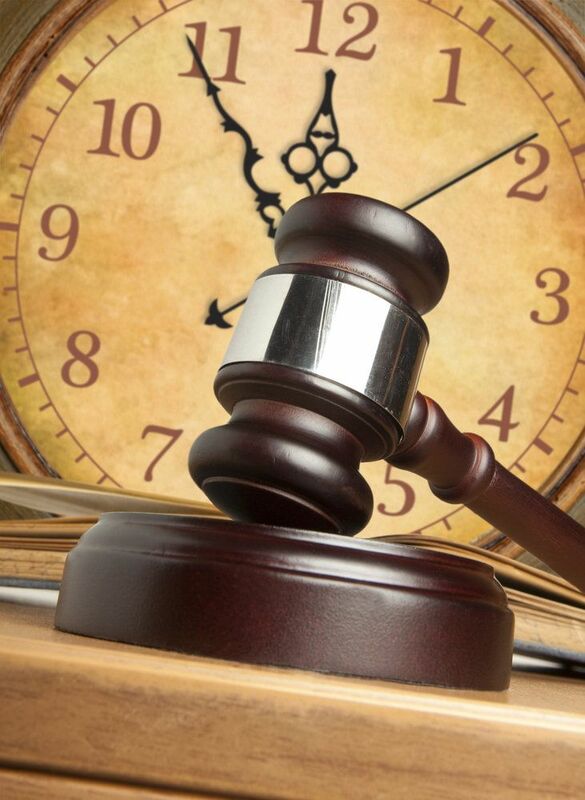 The statute of limitations refers to a time limit, set in place by the law, for filing a lawsuit. In the state of California, the wrongful death claim statute of limitations can vary depending on the specific situation. There is no way to truly receive justice when a family member is suddenly taken from you. However, if you have lost a loved one due to wrongful death, you can seek compensation for your pain and suffering. Attorney Scott H.Z. Sumner, serving San Francisco, CA and the Bay Area, can represent you in a wrongful death case and help you rebuild your life. For the majority of cases, the time limit for filing wrongful death claims is two years from the incident or death of the victim. This guideline is set by the California Code of Civil Procedure § 335.1. A wrongful death claim would be actionable if a loved one was killed as the direct result of negligence. This could include a work-related accident or a collision due to a drunk driver, among other things. Occasionally, tolling a statute of limitations is allowable. For example, if the plaintiff was a minor at the time of their loved one’s death, a pause would be placed on the case, and the timer would resume when the plaintiff turns 18.
Who Qualifies as a Victim in a Wrongful Death Claim? In order to be eligible for a wrongful death claim, a negligent party must be shown to be the cause of a victim’s death. In a medical malpractice lawsuit, it must be proven that the decedent’s chance of survival was above average prior to the alleged incident. For example, if a patient’s health was considered to be less than 50 percent at the time of the alleged offense, it may not be probable that the doctor or hospital was the cause of death. If the death was a suicide, a wrongful death claim may be actionable. For instance, if a party was responsible for a duty of care to the individual, and did not carry it out, it could be considered a significant factor. Justifiable Homicide: If a person is killed while committing a felony, the family of the victim will not be able to bring wrongful death action. Who Can Submit a Wrongful Death Claim? As set by the California Code of Civil Procedure Section 377.60, a cause of action may be taken by each of the victim’s heirs. Under California law, each identified heir is permitted to recover monetary damages. However, the rules regarding wrongful death claims can be complex, so specifics can vary significantly from case to case. When you lose a loved one unexpectedly, it can be difficult to begin picking up the pieces. If you think you and your family may be entitled to compensation, schedule a consultation with Attorney Scott H.Z. Sumner. You can reach our office by calling (925) 278-6170 or you can contact us online anytime.